You want to keep your home safe. Your family has their whole lives inside your home. Besides the place where your most cherished loved ones spend most of their time, your home also houses all their belongings. So, what is the best way to keep your home safe? A combination of security cameras and a professional alarm system work best. A security camera might deter burglars from breaking into your home, since most criminals are looking for an easy target. Despite home burglary rates dropping over 50% since 1994, it still happens at a significantly higher rate than most Americans would assume. The main purpose of a security camera is to capture the image of a person who has entered your property without an invitation. This works both inside the home and outside, in the yard. In addition to burglaries, security cameras can capture the images of trespassers, prankers, or those who do property damage. 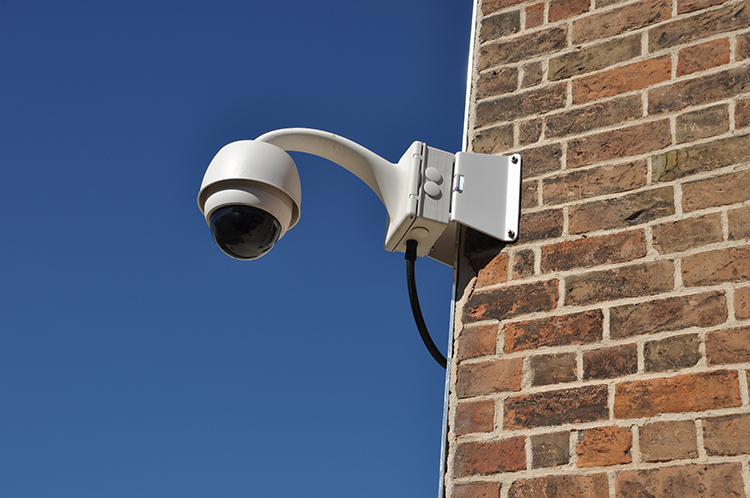 In some instances, a security camera in the right place on your property can also capture other useful information. The license plate of a vehicle used, for example, or details on the items which were actually stolen. The later can assist any claims you need to make with your home owner’s insurance. Around 28% of Americans between the ages of 30 and 49 have an alarm system installed in their home. There is good reason for this, because alar, systems are typically avoided by criminals seeking illegal entrance to your property. Homes with these systems are much less likely to be targeted than those without. A professional alarm security system works by placing sensors at all the major entries to your property. This includes doors and windows. When inactivated, these sensors are switched off and the entries can be used freely. When the system is activated, however, a door or window opening (or breaking, for some systems) will trigger the alarm to go off. The alarm itself is a loud noise meant to alert those in the household that a potential security threat is happening, while simultaneously frightening away the intruder. For professional systems, an alert will also be sent out to your home security company. After trying to call the primary contact once, the company will call the police and let them know assistance is needed at your property. While both systems have significant benefits, it is when both a security camera and alarm system are used that the outcome is best. Although they are thought of as things to be chosen between for home security needs, each serves a different purpose. A security camera will record the image of an intruder. If placed outside, this will occur even before the actual break-in. When a break-in attempt occurs, the alarm system will sound to alert you and frighten away the criminal. The police will then be called to the scene and can use the captured images to find the perpetrator so they can’t harm your family or any others moving forward.